There is no tastier way to make use of stale bread than making it into French toast. Crisp on the outside and custardy in the center, it is a great brunch to kick-start your Sundays. You can douse it with maple syrup or top it with cream or fresh fruit. 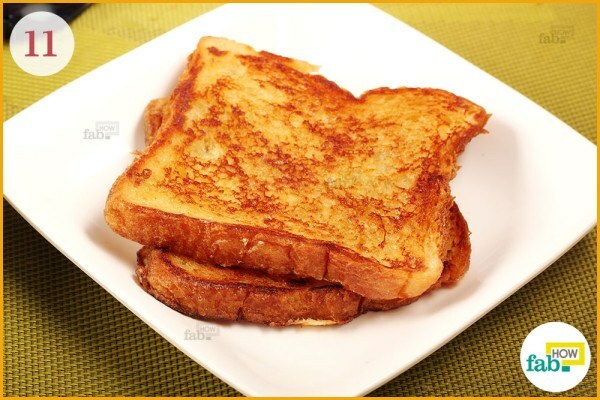 French toast is a unique dessert that you can make into a gourmet meal to pamper yourself. It is also a great option to serve as a snack when entertaining guests. Mastering this easy-peasy recipe will undoubtedly earn you accolades from your friends. If French toast is that one comfort food you love but do not know how to make, then it’s time you finally learned how. And if you’re scared of ending up with burnt or underdone and soggy toasts, shed your fears. This delicious dessert is not that difficult to make. The taste of your French toast depends on the kind of bread you use. White sandwich bread works fine. But you could use breads like French baguette or challah bread for a distinctive taste. You can easily find these at your local bakery. With some practice, you can make French toast in no time and dazzle your guests. Break 2 eggs into a glass bowl. 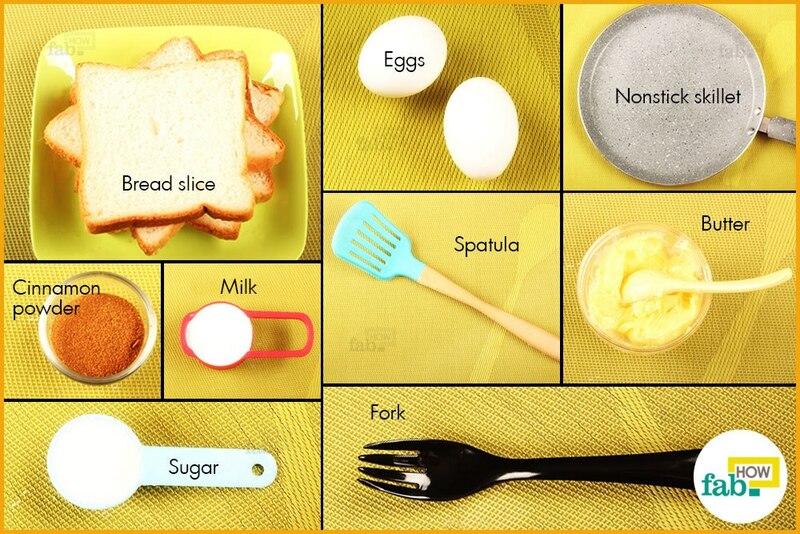 Whisk the eggs thoroughly with a fork. If the yolk and the whites aren’t properly blended together, they’ll end up cooked separately and hard. 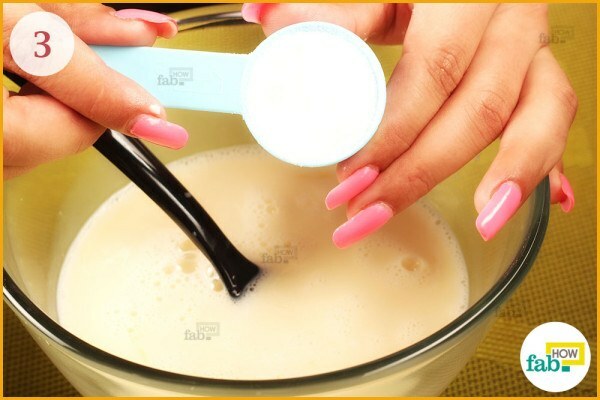 Pour ¼ cup of milk into the bowl. Pay attention to the proportions of the milk and eggs. If there’s too much milk, the batter will be too runny and the egg might not cook thoroughly. Measure 1 tablespoon of sugar into the bowl. If you plan to top your French toast with maple syrup, honey or a dusting of icing sugar, you can adjust the quantity of sugar accordingly so it isn’t too sweet. 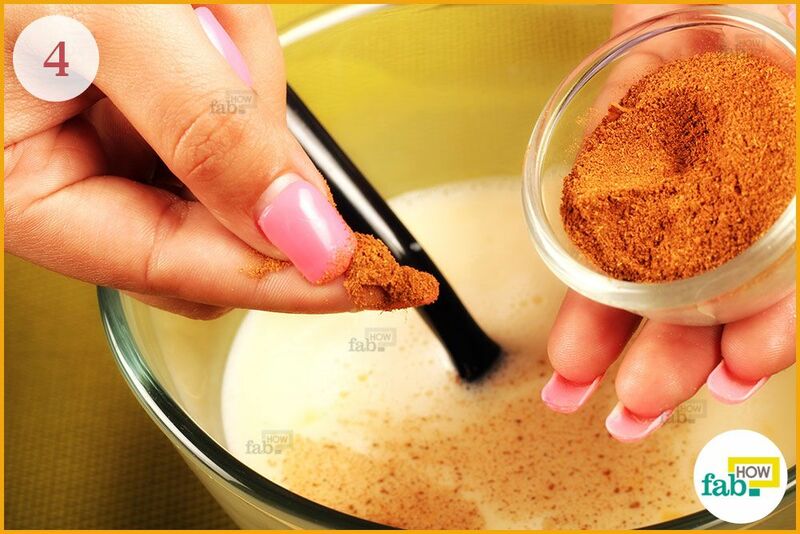 Add a pinch of cinnamon powder to the bowl. Cinnamon complements most desserts. Its spicy flavor blends nicely in the egg mixture. 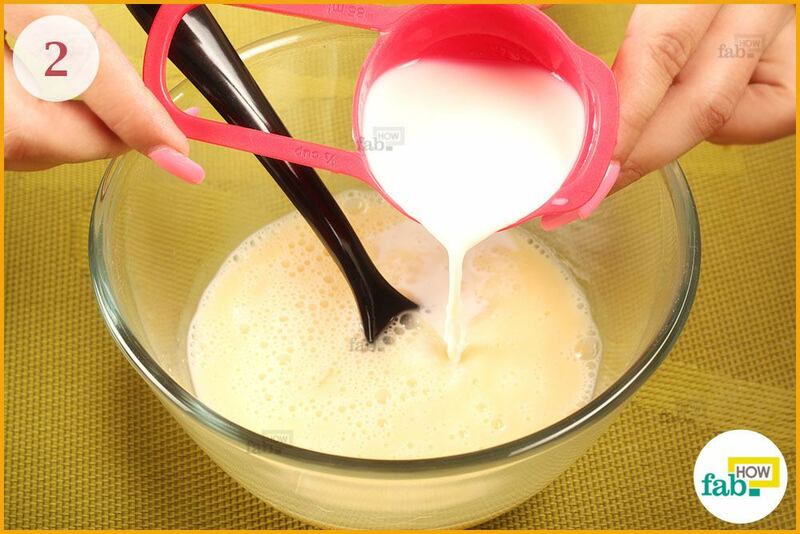 Whisk the contents of the mixture thoroughly to get a batter with a custardy texture. Place a nonstick skillet on medium heat. Coat the skillet with butter. French toast is traditionally made with butter. However, if you’re prone to burning the butter, you can use cooking oil instead. 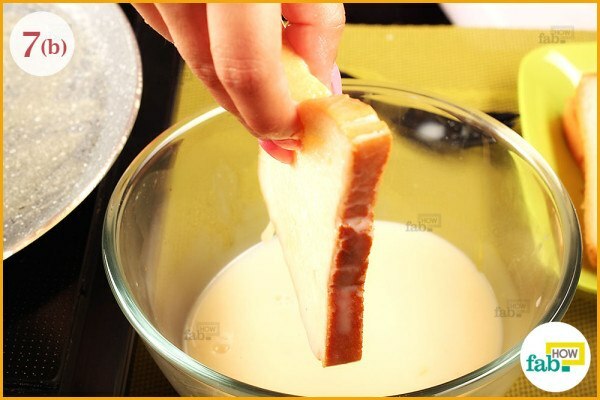 Dip the bread slices into the batter. Be sure to dip them completely but briefly so your slices don’t get too soggy in the middle. Hold them over the bowl to let the excess batter drip off to ensure it doesn’t pool in the middle of the pan. 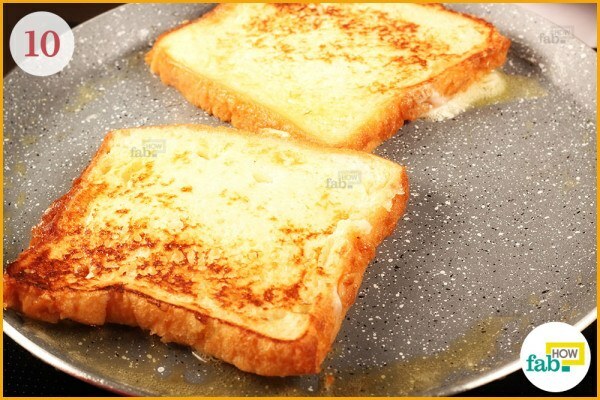 If you like your French toast extra crispy, coat the bread slice with butter before dipping it into the batter. 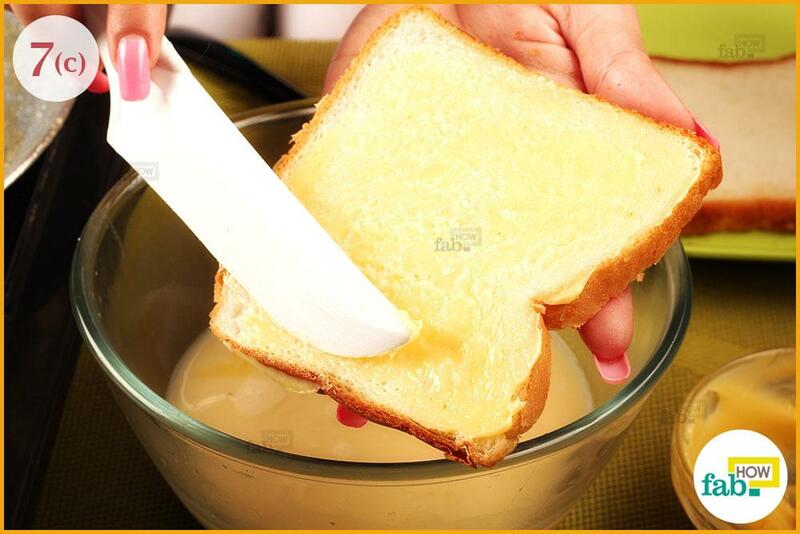 The layer of butter will keep your bread from soaking up too much batter, besides giving it that nice crunch. 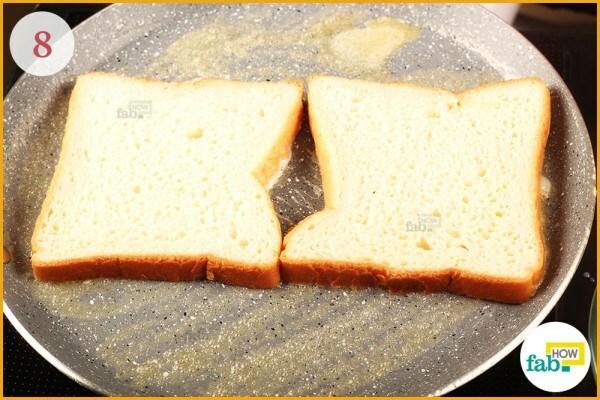 Place the soaked slices of bread on the skillet over medium heat. Flip the slices over with a spatula after 2 minutes. The aim is to cook them to a beautiful golden color. Similarly, cook the other side of the bread for 2 minutes. 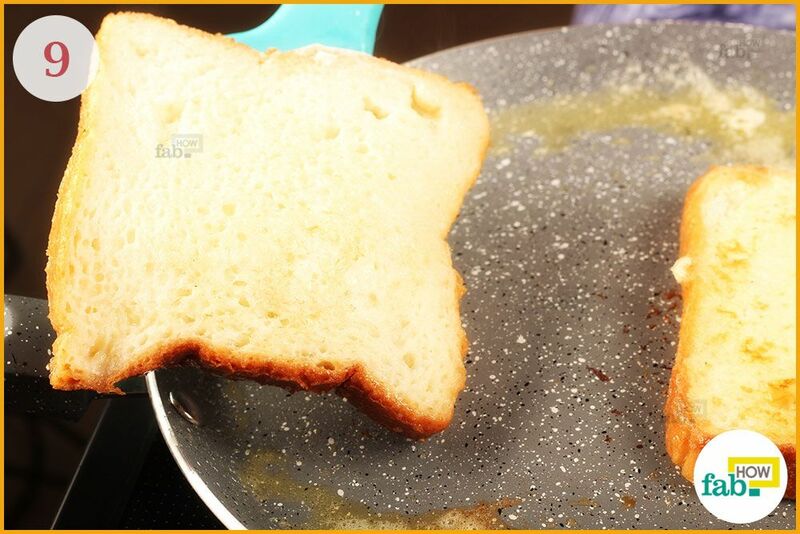 If the toast appears undercooked, leave it on the skillet at bit longer. Keep the heat under medium-high to avoid ending up with toast that’s burnt on the outside, but raw inside. 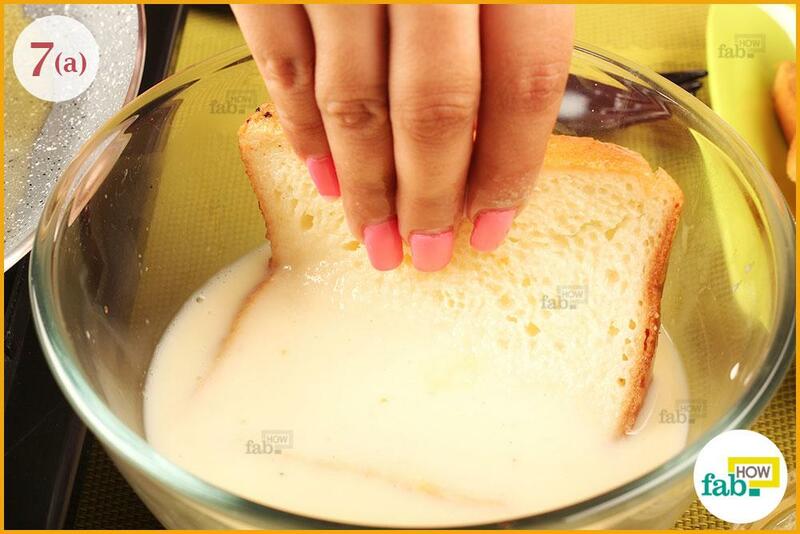 Transfer the toasts to a plate and serve hot. Depending on what tickles your taste buds, you can top it with maple syrup, honey or fresh fruits and cream. Using stale bread is a key to good French toast. If your bread is fresh, wait for a day or two before making your French toast. The ideal thickness of a bread slice is ¾ to 1 inch. Try sprinkling granulated sugar over the slices just before frying for a caramelized crunch. 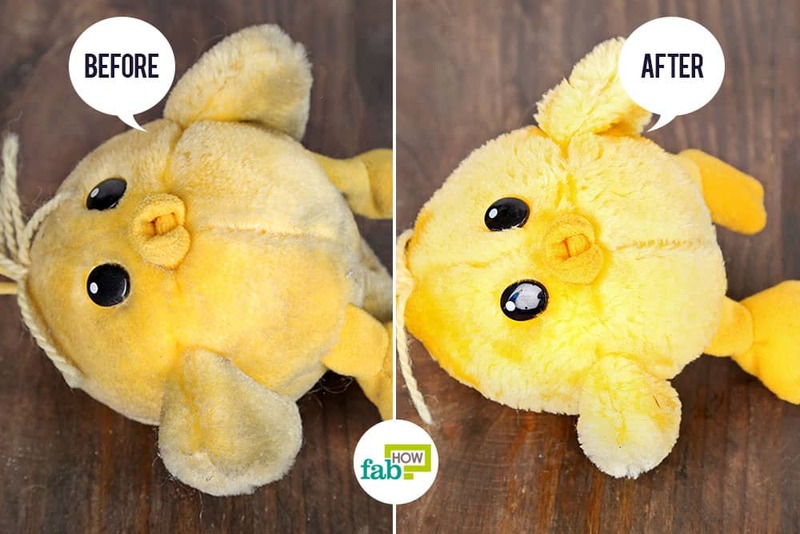 Be sure to cook your French toast thoroughly, as raw eggs can make you sick. Pay attention to the milk and egg proportions in the batter. 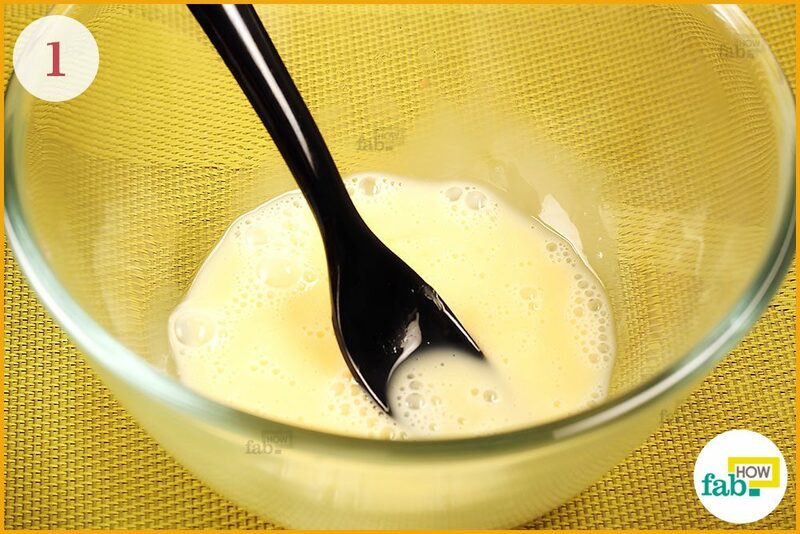 If there is too much milk, the egg might not cook thoroughly.